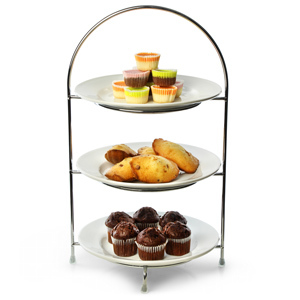 Perfect for afternoon tea for two, the Utopia Chrome 3 Tier Cake Plate Stand with Plates makes for an elegant way to display a selection of cake slices, tarts and finger sandwiches. 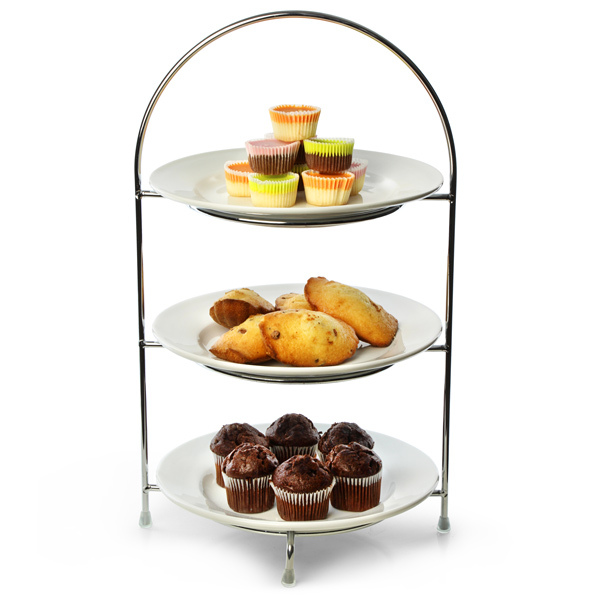 The stand features a smart chrome finish and offers three tiers for a clear display of cakes. "Smart plate stand with nice quality plates included. I have used my own shallow bowls to use this stand for fajitas."